Real estate agents work under brokers, who dictate the minimum commission allowed. 1. Who Pays Real Estate Sales Commission? 2. How Much Should You Pay a Buyer's Agent if You Are Selling Your Home Yourself? Real estate commissions result from negotiations, which start with the homeowner and his agent. No real estate laws or rules prohibit reducing agent commissions, but market conditions and a property’s appeal ultimately determine whether a home can sell despite low or no commissions. In certain cases, an owner's agent, also known as a listing agent, may eliminate his commission altogether. In most residential real estate markets, the seller pays real estate commissions, which the seller's agent splits with the buyer's agent. Typically, real estate commissions equal 5 percent to 6 percent of the sale price. The agents' splits depend on the commission terms set by the seller and his real estate agent upon listing the home. Agents usually divide commissions equally. For example, each agent receives 3 percent of a 6-percent commission. 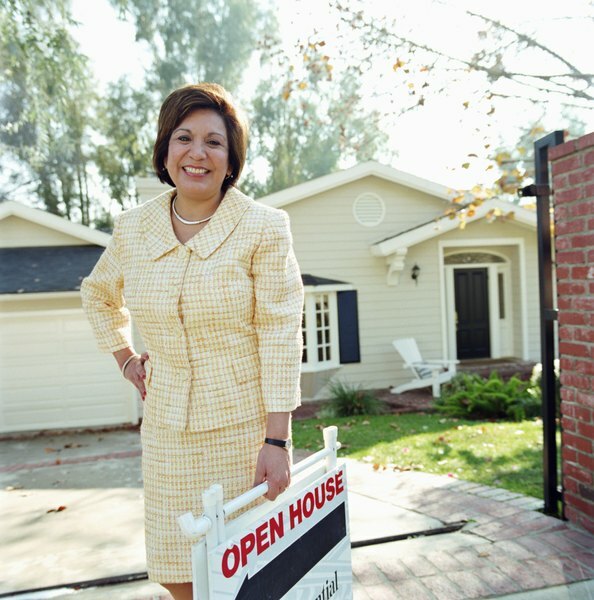 To gain a competitive edge, however, a seller's agent can reduce his commissions. For example, he may accept 2.5 percent so the buyer's agent receives 3.5 percent from a 6-percent commission agreement. A seller's agent may accept a lower commission -- usually no less than 4 percent -- to help the seller's bottom line. The agent's brokerage, which is the real estate company the seller's agent works for, typically must approve a below-average commission in advance. Several reasons might compel a brokerage to allow a reduced commission. For example, if the seller is a repeat customer, is buying as well as selling through the agent, is a friend or family member of the agent or the home has a multi-million dollar price tag, the agent can reduce his commission. An agent might accept less than 4 percent if he also represents the buyer and does not have to split the commission with a buyer's agent, according to the New York Times. Real estate agents can sell their own property. An agent who is also the homeowner might list it as a property "For Sale by Owner," or FSBO. A FSBO deal in which the owner-agent sells to a buyer who is not represented by an agent eliminates commissions altogether. When an owner-agent represents himself in the sale of his home using his brokerage's name, however, the agent's brokerage can allow him to reduce his commission to zero. When another agent brings the buyer, the owner-agent may have to pay a commission to the buyer's agent, regardless of whether the home is a FSBO or not. A seller usually only pays agent commissions when a deal closes. An owner's agent can work on marketing a home, finding a buyer and completing most of the work necessary to close the deal. However, if the deal falls through, he receives no commission. An agent may only pursue a seller for his commission if he can prove that a seller's act of bad faith prevented the sale. Also, discount brokers and flat-fee services may reduce their commissions to a below-market amount. Discount brokers may market a home on the Multiple Listing Service, or MLS, and provide limited support to help sell the property. Flat-fee real estate companies may charge an hourly or periodic fee for assisting sellers in setting a sales price or helping with closing paperwork.